It has taken a precise vision and a lot of passion to create one of the most beautiful places at the foothills of the Bavarian alps: The Eco Hotel and Vitality Centre Schlossgut Oberambach. Set in a park-like private property surrounded by 50 hectares of forest and meadows, the idyllic place invites you to relax and enjoy a lasting holiday experience. 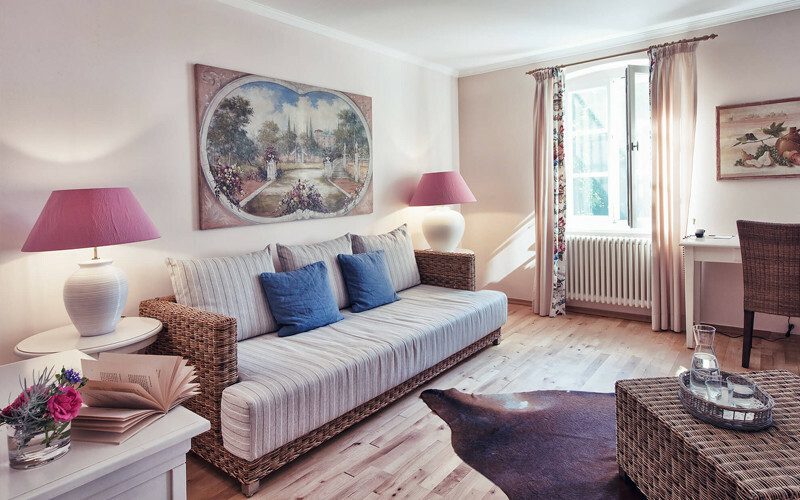 The mansion is located above Lake Starnberg and run by the Schwabe family in a personal, attentive and cordial manner, according to ecoconscious, holistic principles. The philosophy of the family is to live in harmony with nature, which can be sensed in every lovingly arranged detail. All of our 40 individually designed rooms have been built, renovated and furnished according to ecological principles. Luxury meets sustainability. 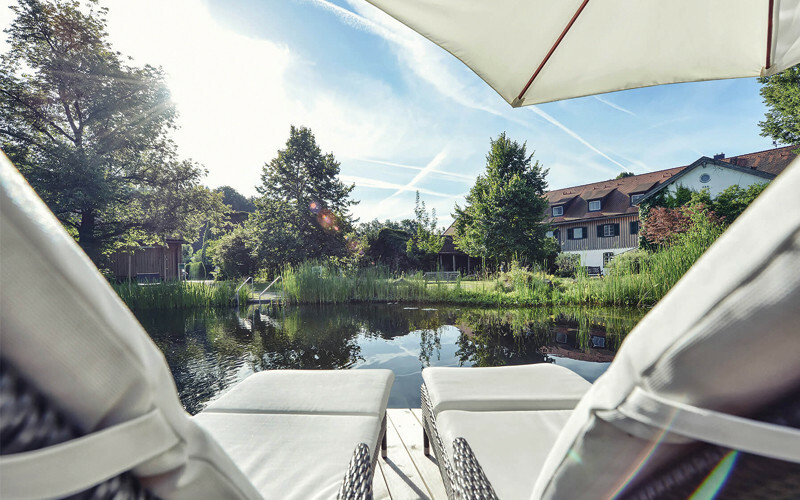 At Lake Starnberger, close to Munich, people seeking tranquillity are offered the opportunity to live a healthy life and experience a relaxing holiday. You will not only enjoy a high-quality cuisine using 100 % organic ingredients, but also a great selection of excellent wines, beers and juices of organic origin. The entire lovingly furnished house was built exclusively with ecological materials. 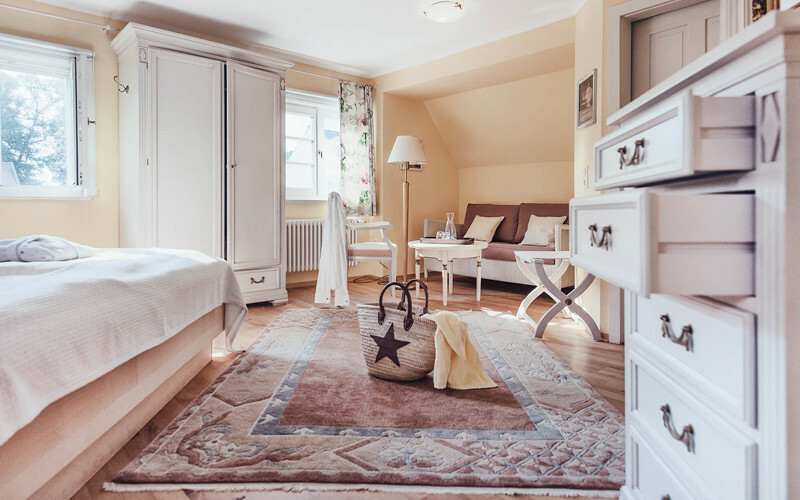 Partial allergy-friendly heating systems, solid wood furniture and oiled wooden floors in the rooms serve your well-being . Thanks to our elegant rooms that are free from electromagnetic radiation, you will experience a gentle, restful sleep. Our hotel offers an idyllic setting not only for your wellness holiday, but also for productive meetings and private events. The light-flooded conference rooms have, in part, direct access to the patio and the garden. They are equipped with state-of-the-art technology and are professionally maintained. An ideal setting for small to medium / large family celebrations and conferences. The Schwabe family charmingly demonstrates the pleasures and benefits of a healthy and peaceful lifestyle in accordance with nature. Thus, Schlossgut Oberambach is a place of inner and outer retreat, a place between heaven and earth. . . high above Lake Starnberg. 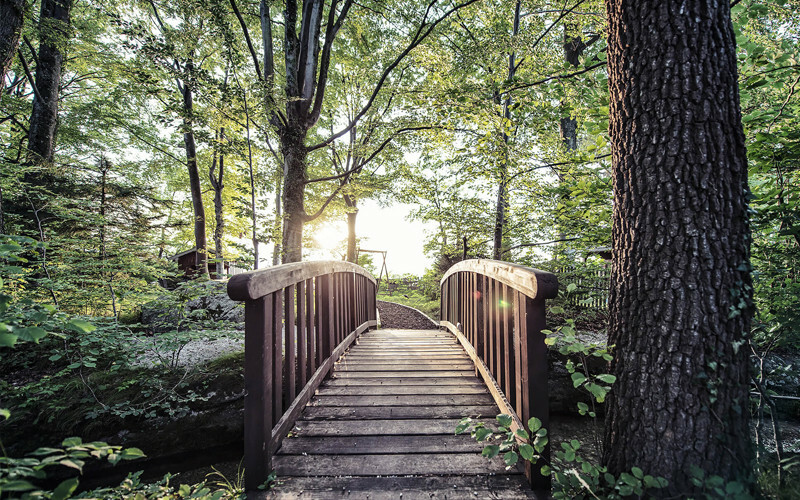 We are helping to preserve the fascinating landscape surrounding Lake Starnberg through sustainable management. By receiving energy supply from renewable resources, using ecological materials in our rooms and offering organic cuisine, we consistently work in accordance with ecological standards. As a certified member of Bio Hotels (eco hotels), we guarantee high-quality for our guests: 100 % organic cuisine, strict controls and reduced electromagnetic radiation. We also collaborate with regional eco-producers, especially in regard to food and beverages. In addition, all of the renovations have been carried out with careful attention to building biology and the ecological compatibility of the materials. The love of nature is in our blood. The great-grandfather of the current owner Andreas Schwabe, pharmacist and Privy Councilor Dr. Willmar Schwabe, founded the worldwide first homeopathic company in Leipzig in 1866 . 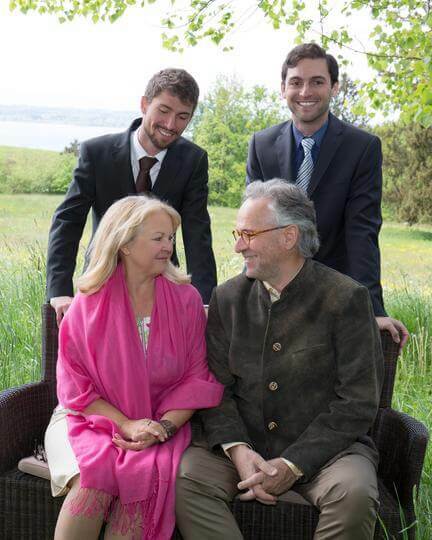 To this day, the Schwabe Group, seated in Karlsruhe, stands for naturopathic excellence. Waste sorting according to the Tölzer concept, recycling of cork, polystyrene, plastic, etc. „Hof Oberambach“ is mentioned for the first time. At that time, it belonged to the monastery of Schäftlarn, which left it to the local farmers to manage and use. The farm becomes property of the convent Bernried. Franz Freiherr von Lobkowitz and his wife Marie Therese acquire the property for 9,400 guilders and rebuild it into a manor. The property is once again enlarged by then owner Baron von Kleydorff, and becomes a meeting point for various artists (among others “Der Blaue Reiter“), writers and freethinkers. The Schwabe family buys the property with its forest and meadows. Though maintaining the original building structure, the buildings were thoroughly renovated and extended several times to make them suitable to serve as an eco hotel. The protected castle estate is certified as an eco hotel, guaranteeing 100 % organic food quality, local sourcing and consistent ecological management. Andreas Schwabe will turn 60 years in March! The Willmar Schwabe GmbH & Co.KG / Schwabe Group, which has made the project Schlossgut Oberambach possible in the first place, celebrates its 150th anniversary. The company produces naturopathic compounds (including tebonin, globules such as Arnica, Acconitum, Echinacea, etc., Umckaloabo, Hametum ointment, pimenthol ointment).